Teaninich is to be found near the Cromarty Firth in the north-east Highland. Founded in 1817 by Captain Hurh Munro, the distillery produces ,aæt wjosly om high demand from blenders. The mashing process is differendt here as they use a mash filter rather than the conventional mash tun to extract the worts. 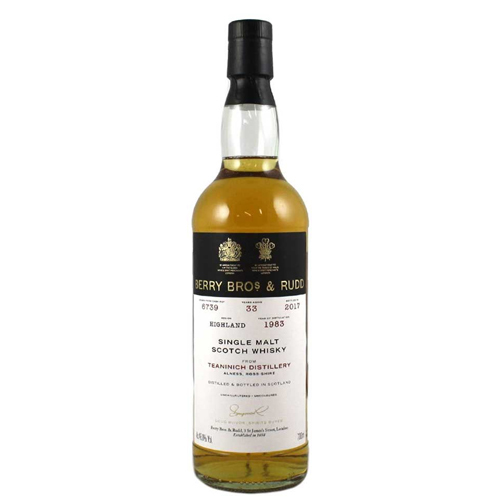 This is a beguiling and fruity malt with perfumed aromas emerging. Passion fruit, a touch of lime and polished oak invite further exploration. The palate delivers waves of vanilla, yellow fruit and honey with some toasty influence. A little liquorice kick in to herald the graceful finish.